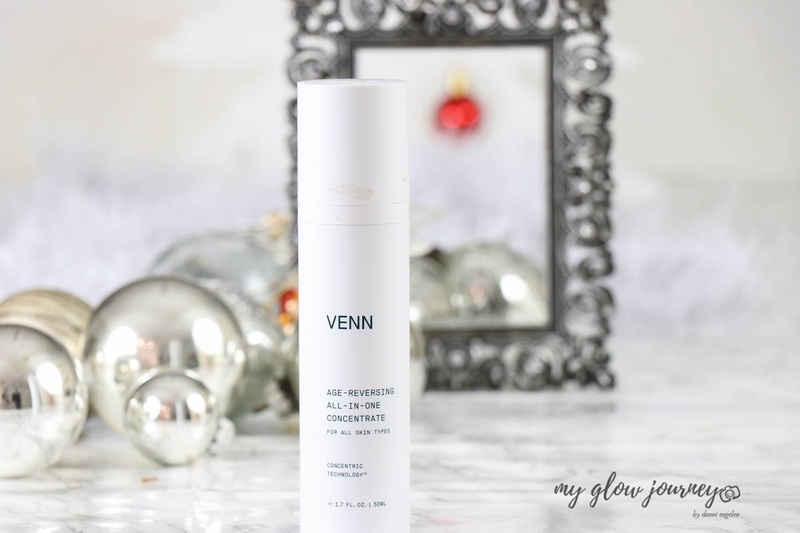 I tried Venn Skincare Age-Reversing All-In-One Concentrate and here is my Review on it. 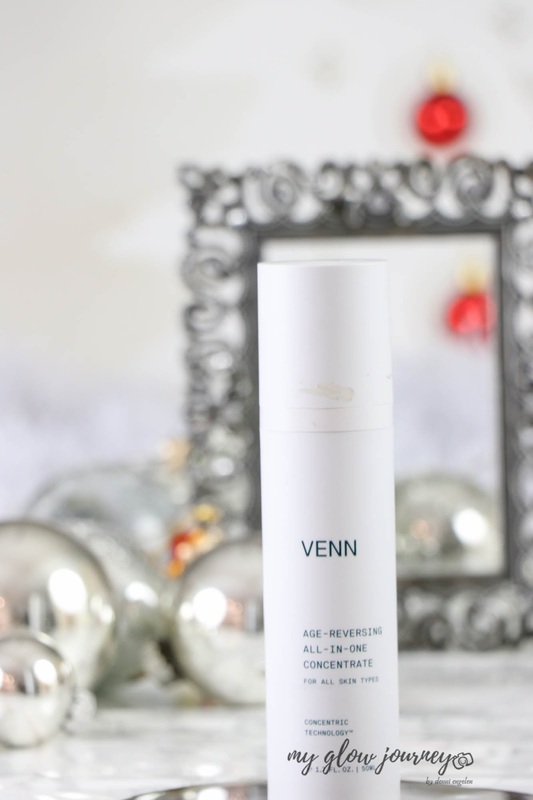 For the ones that are unfamiliar with the brand, Brian Oh has created VENN Skincare looking for an all in one answer to his skincare routine, I guess we all been there running late and have to complete ten steps routine, so here comes Venn Skincare with products are more tailored to busy, modern lifestyles. I like the idea behind it, supercharged formula all in one replacing toner, essence, serum, ampoule, moisturizer, cream and oil and reducing the skin care routine to cleansing all in one concentrate and sunscreen during the day. 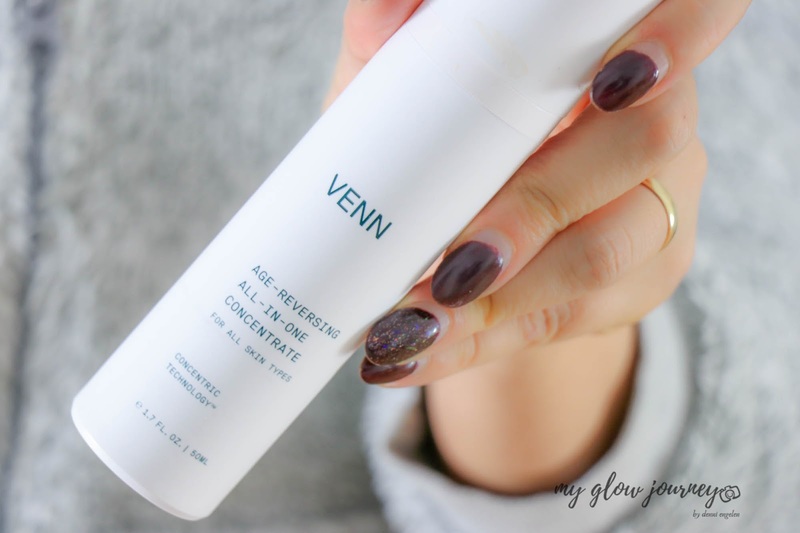 I don't complain about my long routine as i told in previous posts skincare is my yoga, but I can see how a product like this comes in handy! Beautiful, sturdy packaging, comes with a pump that actually disperses the right amount. the hefty price tag, it may reduce the routine to three steps, but it only saves you time, not money. 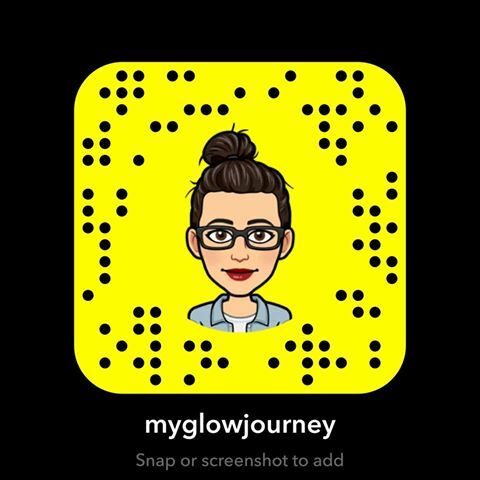 I have been testing Age-Reversing All-In-One Concentrate for about a month. 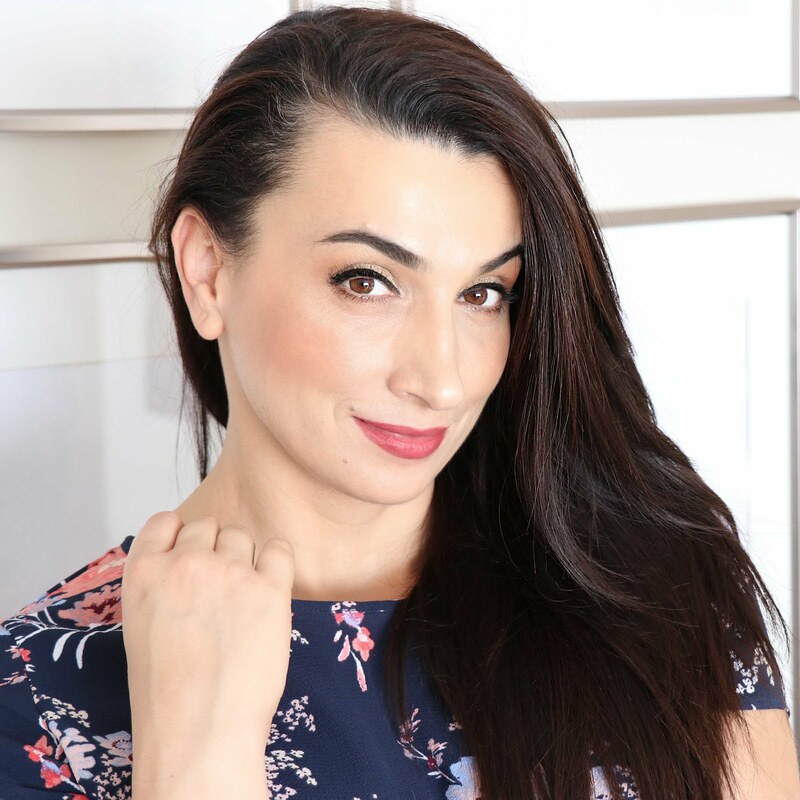 Four or five times I have reduced my skincare routine to two steps respectively three steps (added an SPF ) just to test it properly. My skin type is dry to dehydrated; I deal with dark circles, hyper-pigmentation, discoloration, fine, and wrinkles. 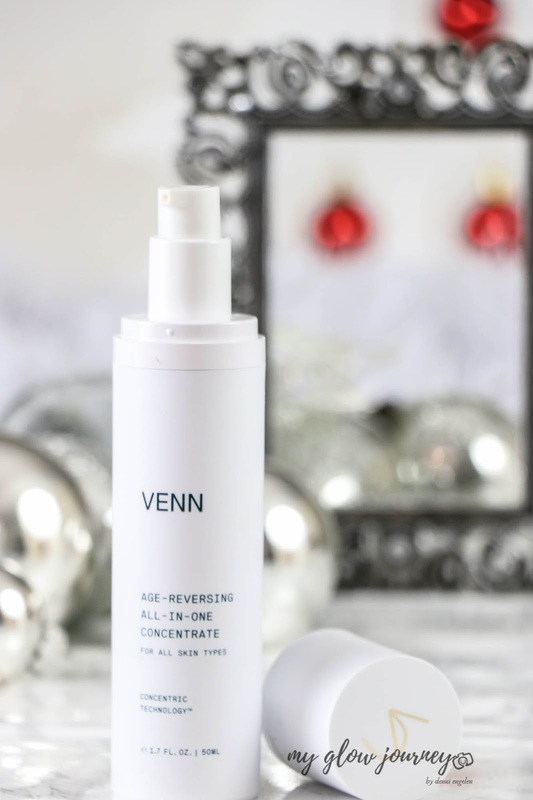 Age-Reversing All-In-One Concentrate has a creamy gel texture; a little goes a long way, I only needed a pea amount for my entire face, neck, and decollete. Regarding hydration it was not enough for me, I needed to layer it with other products. Alone it would keep my skin hydrated for about four to five hours, which is not bad for this time a year (cold, wind, artificial heating ) but is far from the 24 h claim. However, my skin seemed to love it, it was brighter softer, so maybe I just have to use it for a longer time. Behaves wonderfully under makeup. 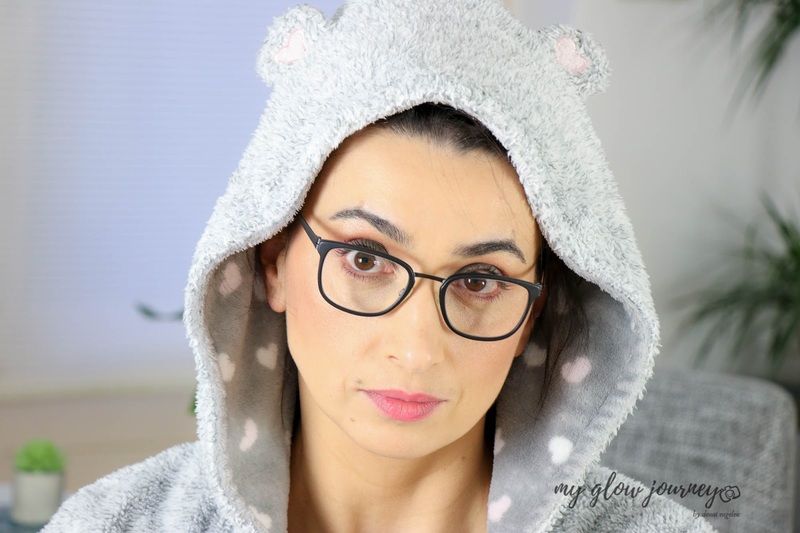 For the seek of testing I have also tried the Age-Reversing All-In-One Concentrate on my husband ( always handy to have an extra face to test products on lol ) his skin is normal to dry but sensitive and congests easily. For him, the hydration lasted a good half day; he experienced no sensitivity and some of the congestion cleared down.